If you long for indoor greenery but haven’t succeeded with houseplants, consider succulents. They are easy-to-please house guests and survive indoor conditions with minimal effort. Succulents survive dry indoor environments thanks to special adaptations – fleshy leaves, thick stems or enlarged roots – that allow the plants to hoard water. 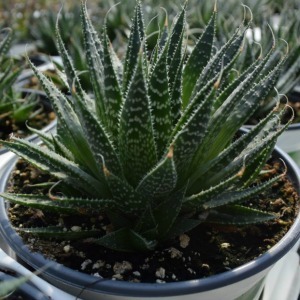 Most people are familiar with cacti, which are a type of succulent. 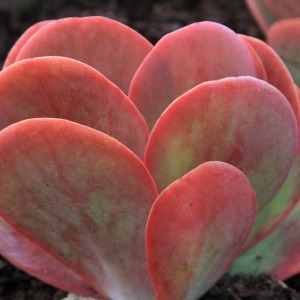 But succulents also include a host of other plants grown primarily for eye-catching foliage. Strong, distinct leaf shapes give these succulents striking textures that transform them into living sculptures for interior rooms. Learn how to grow these undemanding plants. Succulents make great indoor plants because they’re adapted to survive dry conditions. In winter especially, homes offer dry interior air to houseplants, which is why many don’t survive. Low relative humidity isn’t a houseplant’s friend. Succulents, though, with their water-storing ways, endure dry air without ugly side effects. Most succulents, in an indoor setting, will crave the brightest light possible, especially during winter in northern climates. Place them near a south- or east-facing window. This same setting works during the warmer parts of the year. Alternately, you can shift succulents outside during spring and summer. Choose a protected location where plants receive bright, indirect light. 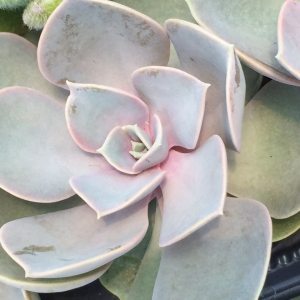 Research your succulent selection to ensure you’re providing ideal light. In their native settings, succulents typically grow in sandy, well-drained soil. 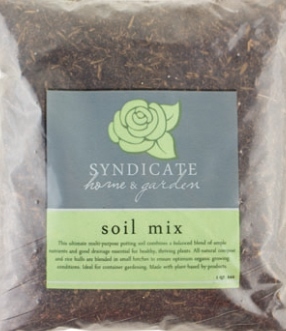 Duplicate that footing for potted plants by blending your own soil mix – half potting soil, half sand. To test how well the mixture drains, wet it, then squeeze it in your hand. 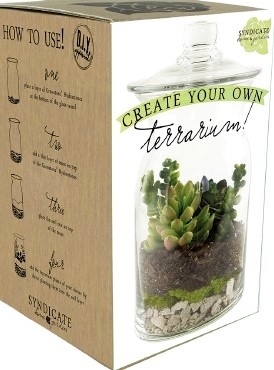 If it falls apart, you have a mixture succulents will love. When you purchase a succulent, slip the pot into a pretty cachepot, and you’ll have instant décor. Or you can transplant these easy-grows-it plants into ornamental containers. Most houseplant succulents have shallow roots, so you can tuck them into shallow bowls or squat pots. Succulents can’t stand overly moist soil. Make sure containers have drainage holes to allow excess water to exit. The fastest way to kill a succulent is with too much TLC – and too much water. Unlike typical houseplants, succulents stash water in their leaves or roots, which act like a reservoir to slake the plant’s thirst. To avoid overwatering, water only enough to keep leaves from withering. When you water, apply enough so it runs out drainage holes. Empty the drainage saucer so plants don’t sit in water overnight. About 95 percent of houseplants need soil to dry out almost completely before watering. 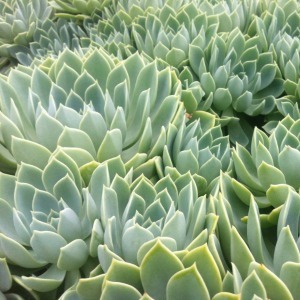 Succulents experience strongest growth during spring and summer. Growth slows in fall, and winter is a time of rest. Fertilize lightly or not at all during winter. In warmer months, feed plants three or four times. Use a standard houseplant fertilizer for most succulents, but keep in mind that it is easy to over fertilize these plants. In most cases, they should be fed lightly or about half what you would feed a regular houseplant. You can combine several succulents in the same container to create a dish garden. The secret to success lies in plant selection. Be sure you’re mixing and matching plants with similar growth rates and care requirements.